Hyundai and Kia are being sued by Paice LLC, who claims that the automakers violated patent laws by using the company's 1994 patent for hybrid technology. Paice was famously involved in an eight-year long battle with Toyota from 2002-2008 over the same allegations. Hyundai and Kia were just named in a patent-infringement lawsut filed by a hybrid technology company named Paice LLC, who claims that the automakers infringed on three of their patents. Paice, along with their investor, Baltimore’s Abell Foundation, filed the lawsuit on Thursday in federal court in Baltimore. Paice, which was founded by Alex Severinsky, a former Soviet engineer, who now lives in the U.S. Specifically, the lawsuit takes aim at Hyundai’s Sonata Hybrid and Kia’s Optima Hybrid, both of which use the same powertrain. Aside from going after Hyundai and Kia, Paice was involved in a eight-year long court battle with Toyota over similar patent-related infraction. If Paice’s battle with Toyota is any indicator, Hyundai and Kia could be in court quite a long time. Although Severinsky launched his case against Toyota in 2002, it was not settled until 2010 when a judge ruled in the inventor’s favor for an undisclosed amount. The trial concluded that Severinsky had patented a system for powering gas-electric hybrid automobiles in 1994 (U.S. Patent 5,343,970) and that Toyota was using this technology, without permission, since 1997. Ford was also named in the suit, because they license Toyota’s hybrid technology. Ford agreed to license Paice’s technology in order to resolve the suit. Hyundai and Kia were founded in 1967, as part of the Hyundai Kia Automotive Group, which is the world’s fourth largest automotive manufacturer. Although still considered separate companies, Hyundai purchased Kia in 1998 when it filed for bankruptcy. Kia is currently manufactured under the Hyundai subsidiary and shares many of the same parts. Despite their similarities, the Hyundai Sonata Hybrid has outperformed the Kia Optima Hybrid since the two were released in 2011. 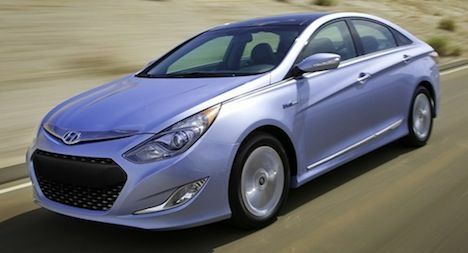 U.S. News currently ranks the Sonata Hybrid at #3 on their list of best hybrid cars, while the Optima Hybrid ranks last. The case is Paice LLC v. Hyundai Motor Co., 12cv499, U.S. District Court for the District of Maryland (Baltimore). Click HERE to learn more about Paice LLC and their hybrid technology.